We have ran our Family Fun Fiesta for the last two years in Spring. 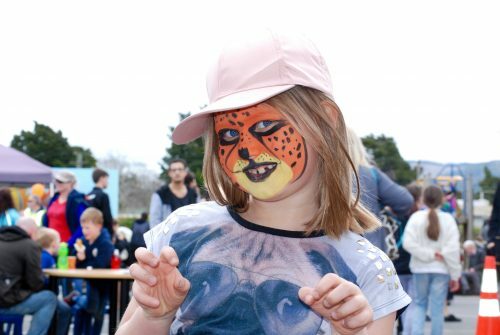 This year the rain didn't deter our visitors, who enjoyed an array of family entertainment, colourful school stalls, community promotional groups, and fun activities for the children. We estimated we had over a thousand people from our wider community attended our event. Everywhere you looked, there were smiling faces, even when they got a bit wet towards the end! With the community's wonderful support, and much appreciated sponsorship from businesses local and New Zealand wide, the 2018 Fiesta raised over $10,000 towards the school's outdoor learning spaces.